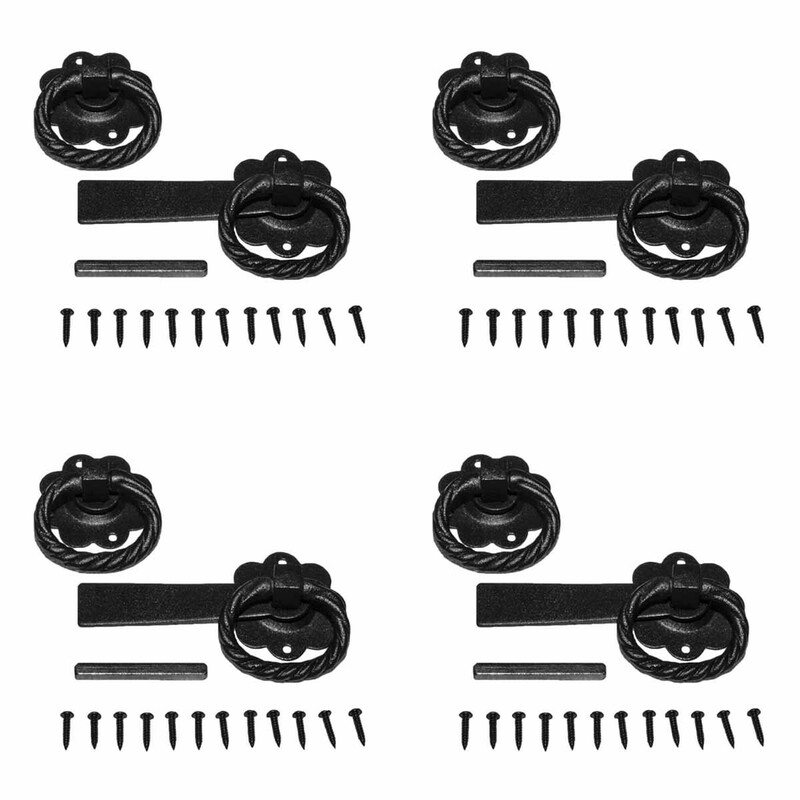 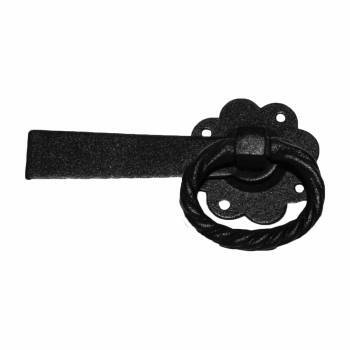 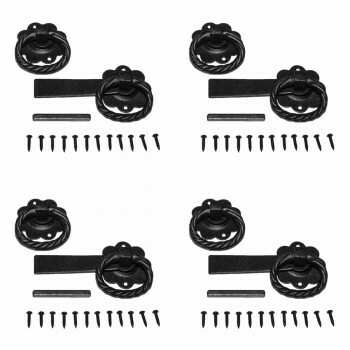 (4) pieces This black wrought iron gate turn latch is an excellent choice for any gate or door. 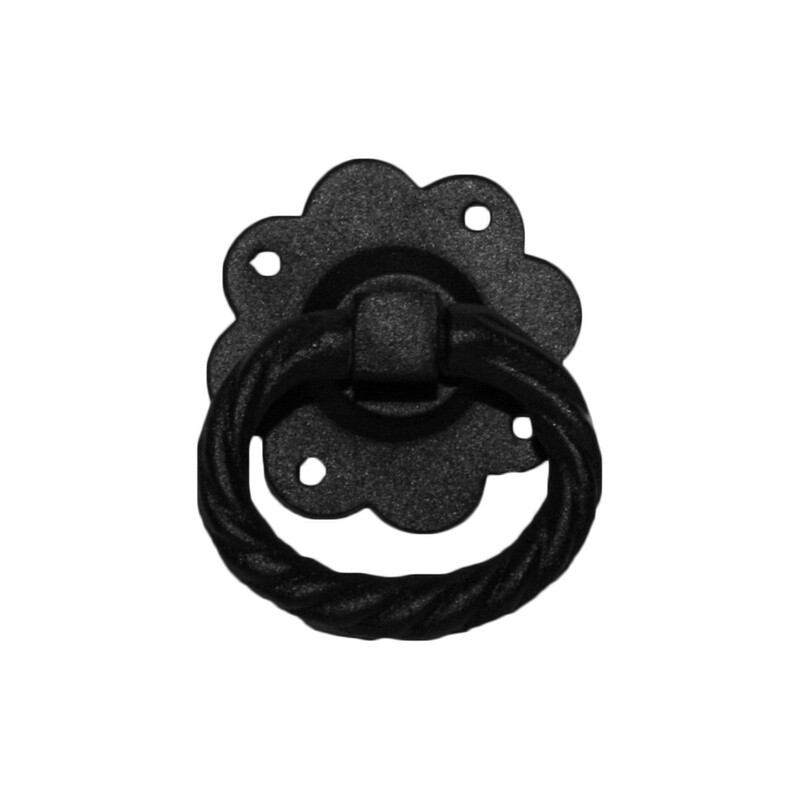 Durable finish will protect from the elements. 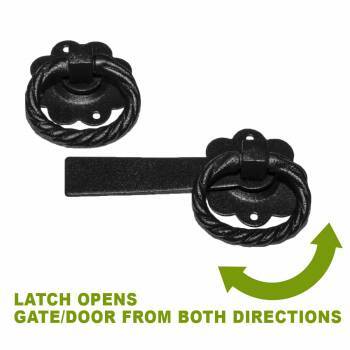 Turn the ring to lift the latch bar. 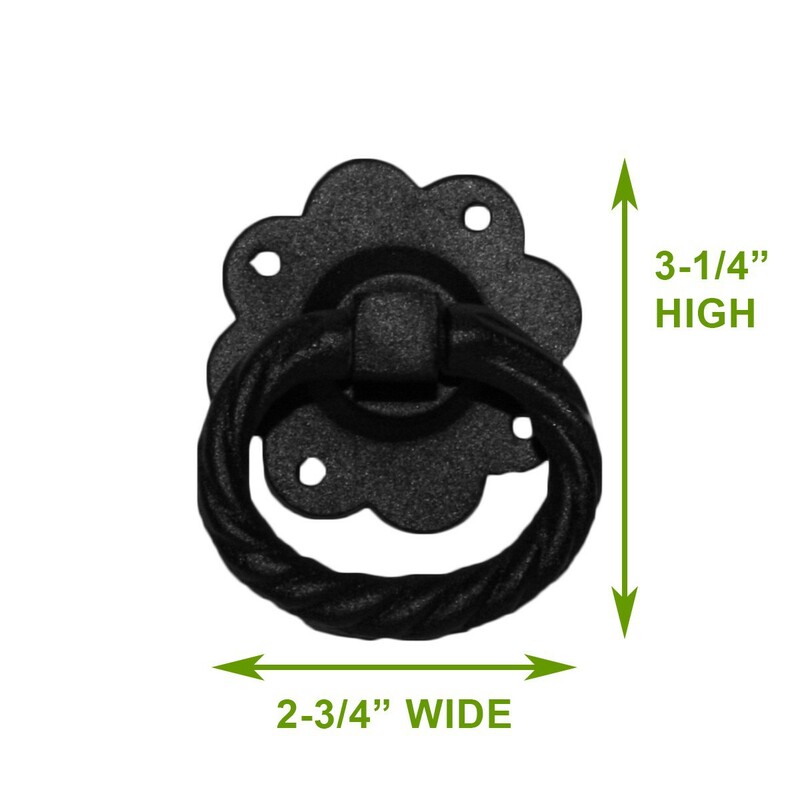 A classic colonial look with a floral backplate will add curb appeal to any gate. This latch will open your gate or door from both sides.